These are the answers of the Greens NSW to a questionnaire sent by Lock the Gate Alliance asking all political parties for their positions ahead of the upcoming NSW election on 28 March 2015. 1. Will your party stamp out corruption prone mine planning and approval processes, including implementing the improvements identified by the ICAC? a) Will you or your party add mining and exploration companies to the list of banned political donors? Yes. The Greens have already introduced legislation into the NSW Parliament which would stop mining and exploration companies donating to political parties. The NSW Greens have never accepted corporate donations and have been actively campaigning, both in parliament and the community, against the corrupting influence that such donations have on our democratic process. b) Will you or your party remove mining and exploration lease rights from proponents who benefit from crimes of corruption engaged in by NSW Government staff and politicians? Yes. The conga line of Labor and Coalition MPs and Ministers through ICAC has undermined the public confidence in the integrity of the major political parties and the specifically the process for granting mining and exploration licenses. If any license is found to have been granted through a corrupt process then it should be cancelled immediately. c) Will you or your party create a public interest test to cancel mining and exploration leases if the leases are not in the public interest? Yes. The Greens were the only party to oppose the removal of the public interest test in 2014. Its removal was strongly back by Labor, Liberal and the Nationals. The Greens have also introduced legislation to re-introduce this important test which would allow mining and exploration leases to be cancelled without compensation in the public interest. 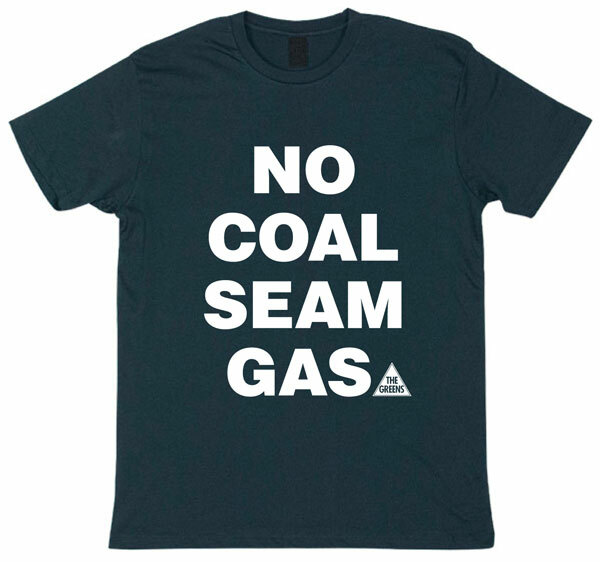 The Greens support all existing coal seam gas licenses and all coal exploration licenses being cancelled in the public interest and without compensation. The age of fossil fuels is rapidly coming to an end and the Greens vision is for a clean, renewable energy future. d) Will you or your party ensure that the new process for triple bottom line assessment prior to coal exploration licences being granted will apply as part of the renewal process for existing licences? Yes. The Greens do not support any new coal exploration licenses being granted or renewed, however our Responsible Mining legislation, which we have introduced to parliament, supports triple-bottom line assessments before any mining licenses are granted or renewed. 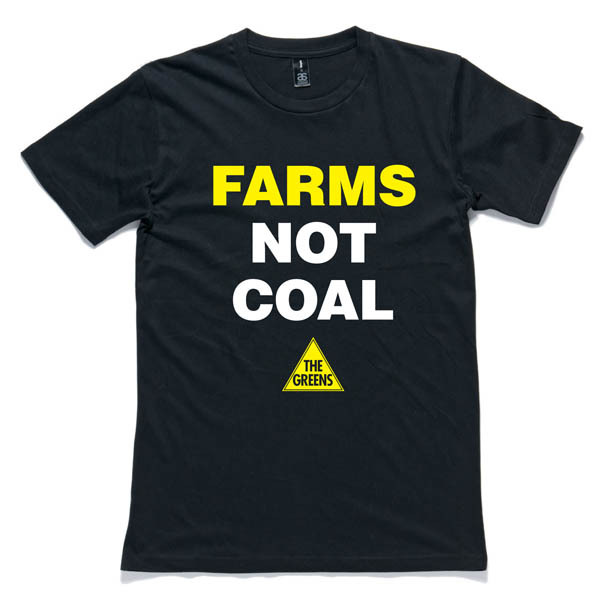 a) Creating exclusions for coal and gas mining in productive farmland? Yes. The Greens support a complete and permanent ban on unconventional gas extraction and we do not support any new coal mines. We have introduced the Responsible Mining (Protecting Land, Water and Communities) Bill 2014 which bans all mining within 2km of productive farmland. We have actively campaigned for this for many years, both in parliament and with communities. 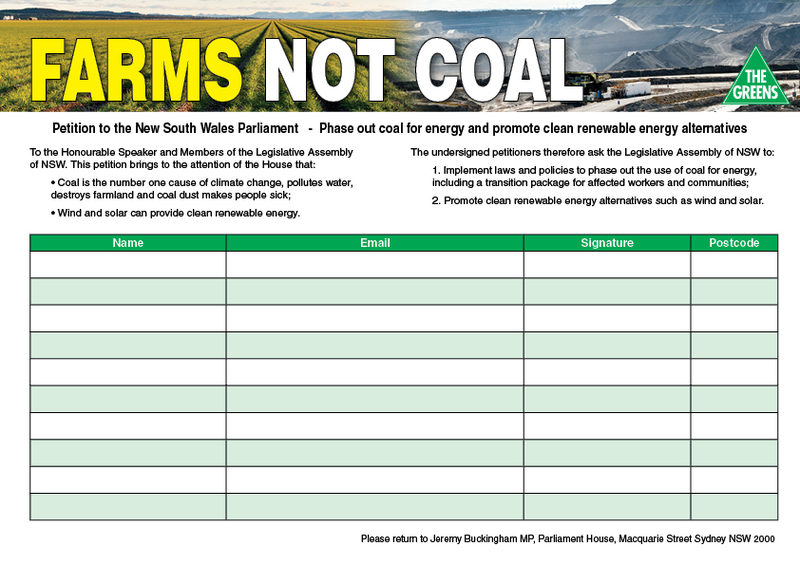 The Greens also have legislation before the federal parliament which would give landholders and communities the right to say no to coal and gas mining on their land. b) Identifying and protecting from both coal and gas mining critical industry clusters across NSW? Yes. The Greens have been calling for recognition of critical industry clusters (CIC) across NSW, and the development of a formal and independent process for applications and determinations about CIC status. We support an expansion of the definition of CICs to include groups of related industries, such as the irrigators in the Riverina, rather than having it just based on a single commodity. We also support CIC status being available to non-agricultural industries such as tourism. This is included in the Responsible Mining (Protecting Land, Water and Communities) Bill 2014.
c) Creating exclusions for coal and gas mining from GAB recharge aquifers, alluvial aquifers and drinking water catchments? Yes. The Greens support 2km exclusion zones for all mining from drinking water catchments, GAB recharge aquifers and drinking water catchments. This is included in the Responsible Mining (Protecting Land, Water and Communities) Bill 2014.
d) Creating exclusions to protect cultural heritage and sensitive natural areas? Yes. The Greens support a 2km exclusion zone for all mining from National Parks, State Conservation Areas, State Forests, areas zoned Tier 1 Biodiversity and important cultural heritage sites. This is included in the Responsible Mining (Protecting Land, Water and Communities) Bill 2014.
a) Creating strict buffer zones which prevent mining within 2km of any household residence? Yes. The Greens support a 5km exclusion zone for all mining from all household residences and zoned urban areas. This is included in the Responsible Mining (Protecting Land, Water and Communities) Bill 2014.
b) Introducing health impact assessment prior to any exploration and production projects? Yes. The Greens intend to introduce legislation which mandates that cumulative public health impact assessments are conducted prior to any mining activities. The Greens will consult widely with community groups and other stakeholders and introduce this Bill within the first 3 months of the new parliamentary term. c) Placing strict limits on particle pollution, introducing load-based licensing for heavy metals in coal mine water discharge, and banning flaring? Yes. The Greens have called for a national standard for Pm2.5 particulates and we believe the current conditions around water discharge points are inadequate. The Greens recognise that flaring is a significant fire risk, especially in regional areas, and releases significant amounts of CO2. It is clear that alternative safety mechanisms need to be developed. d) Require all coal wagons to be fully covered? Yes. The Greens are the only party currently in parliament committed to immediately mandating all coal wagons be fully covered. The science is in, uncovered coal wagon harm people’s health and this is a priority for the Greens. a) The independent concurrence power of the Environment Protection Authority, NSW Office of Water, and Office of Environment and Heritage are restored? Yes. Expertise in making assessment decision on different aspects of mining assessments lies with different departments and decisions should be made by those with the relevant expertise. Concentrating decision making power in the hands of a single government department can also lead to serious conflicts of interest. b) There are proper bioregional assessments including thorough cumulative impact assessments prior to any mining approvals being given? Yes. The Green’s Responsible Mining Framework ensures that cumulative impact assessments must be undertaken which examine impacts on climate change, agricultural land, critical industry clusters, water resources and ecological communities before any mining approvals are given. 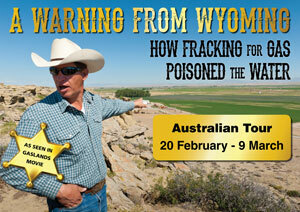 c) Landholders, Traditional Owners and local councils have the right to say “no” to mining? Yes. The Green’s Responsible Mining Framework gives landholders, Traditional Owners and local councils, through their local environment plan, the right to say no to mining. The Greens also have a bill currently before the federal parliament which would also give this right to landholders, Traditional Owners and local councils. d) That legal force be given to protect areas where communities have declared themselves mining free after a systematic survey of households? Yes. The Greens support the right for communities to legally declare themselves mining free and are committed to investigating the best legislative mechanism to give effect to this. e) Community groups and individuals have third party merit appeal rights restored? Yes. The Greens opposed the removal of third party merit appeal rights by the Coalition government. The Greens and the community were disgusted when the Coalition used their Ministerial powers to remove community appeal rights from some of the most controversial planning decisions in NSW. They used this power on projects including the highly contentious T4 coal terminal in Newcastle, the Maules Creek Coal mine that is destroying the Leard State Forest and the Cobbora coal mine in the State’s Central west. 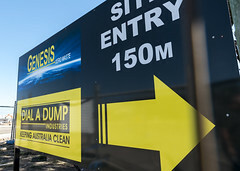 The Liberal and National Parties’ actions have ensured that any approvals given for these environmentally and socially damaging projects cannot be subject to a merit appeal in the Land and Environment Court. By doing so they have prevented other communities following the example of the tiny township of Bulga in successfully overturning a damaging planning decision in the Land and Environment Court. Without merits appeal rights, communities only have recourse to judicial appeal within the court system which is a more costly and narrowly-based right of appeal which doesn’t allow you to challenge the merits of the decision. a) Immediately establishing a Standing Expert Advisory Body, resource it properly and ask it to commence work on the list of specific research projects recommended by the Chief Scientist, to deliver on Recommendation 12? As a first item of business when the NSW Parliament resumes, the Greens will move to have coal seam gas and all unconventional gas extraction completely and permanently banned in NSW, without any compensation available to companies, and a complete and permanent ban on new coal mines and exploration licenses. 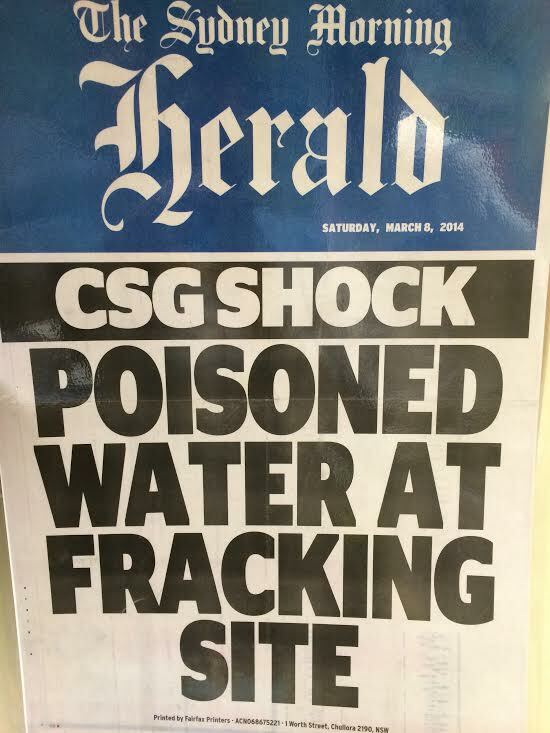 The Greens believe that the science on coal seam gas is in and we are not prepared to risk our land, water, climate or communities by supporting this toxic industry. We will of course support any moves to tighten the currently abysmal lack of regulation of the industry in NSW, but we believe that the establishment of a Standing Expert Advisory Body is a waste of taxpayers’ money as the industry should not go ahead. b) Establishing exclusion zones for productive farmlands and water resources within EXISTING licences, in order to comply with Recommendation 5 to carefully restrict areas where CSG is allowed, prior to approval of any CSG projects? Yes. Our answers to question 2 apply to existing licenses. c) Immediately commencing the establishment of a comprehensive policy of insurance and an environmental rehabilitation fund, as required by Recommendation 9? Yes. The Greens support the establishment of a cost recovery framework for all mining regulation and the establishment of a comprehensive policy of insurance and an environmental rehabilitation fund to ensure the legacy costs of mining are not borne by communities and taxpayers. We do not support this fund exonerating miners from fulfilling their legal obligations to meet the conditions of their license and we support the establishment of an Independent Mining and Petroleum Authority to regulate compliance with license conditions, including rehabilitation. d) Implementing a moratorium on any gas drilling, including any drilling at the Gloucester or Narrabri projects, until all recommendations are fully implemented and applied, and all recommended research completed? Please see our answer to 5 a). The Greens support a complete and permanent ban on all unconventional gas extraction, exploration and fracking. a) Immediately commissioning detailed modelling and quantitative prediction of the likely future demand for gas supply in NSW from a suitably qualified, independent university? The Greens were instrumental in establishing the NSW Parliament Upper House inquiry into gas supply and pricing, with Greens MP Jeremy Buckingham the Deputy Chair of that inquiry. We support the work of Lock the Gate and Australia Institute in commissioning qualified and independent modelling of future gas demand. This modelling clearly showed that as price increases due to the move to export LNG in Queensland, the demand for gas in NSW will fall dramatically. b) Develop and fund an expanded energy efficiency scheme that aims to markedly reduce gas use in NSW in key sectors? Yes. The Greens support incentives to encourage energy efficiency and assist households and business to transition away from gas and onto renewable energy alternatives. c) Require mandatory detailed cost-benefit analysis, which assesses costs to the wider community and economy, prior to approving any coal or gas projects? Please see our answer to 5 a). The Greens support a complete and permanent ban on all unconventional gas extraction, exploration and fracking and any new coal projects. 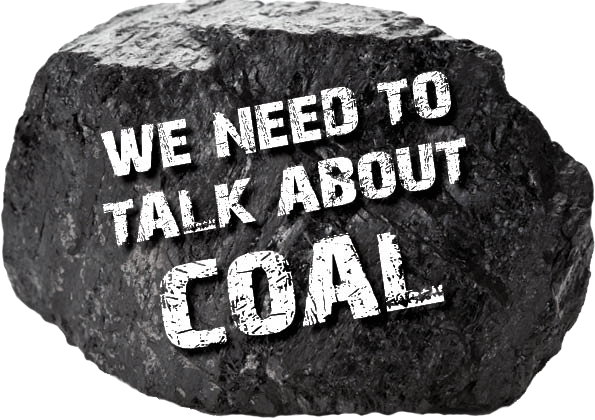 Any serious cost benefit analysis of the risks to land, water, health and climate will demonstrate that costs associated with any new coal and gas projects overwhelmingly outweigh any benefits. d) Investigate the likely risks and cost of landscape restoration in the Hunter Valley, and ensure that the cost of this work will be met by mining companies? The Greens are appalled that the Labor, Liberal and National parties support a massive expansion of coal mining in the Hunter Valley despite the clear risks to land and water and the fragmentation this will cause to existing land users, communities, industries such as tourism, and the environment. The development of any industry which will have such massive and irreversible impacts on a region should be thoroughly and independently investigated and the costs borne by the industry and not taxpayers. a) Ruling out any additional crackdown on landholders who take action to oppose or protest against mining, given current penalties already involve many thousands of dollars in fines and seven year jail terms? Yes. The right to peaceful process is a fundamental democratic right and should not be undermined by the government for the benefit of multinational mining companies. b) Adopting in full the recommendations of the Walker Review into arbitration processes, including ensuring that landholders can have legal representation and their costs fully covered by the miner? Yes. The Greens have worked closely with many landholders whose lives have been turned upside down by the current unfair and disempowering arbitration process for land access. We support the right of landholders to say no mining on their land and believe that if this was made legally enforceable it was would significantly empower landholders in arbitration and force mining companies to negotiate in good faith. We also support the right of landholders to legal representation and the costs of arbitration to be covered by the miner.